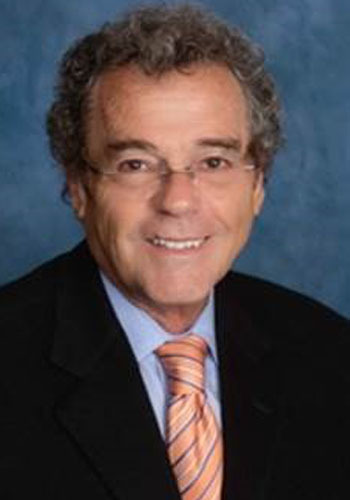 Malcolm Sher - Mediator based in Danville, California. If you’d like a list of available dates for Malcolm Sher, please submit a request below. I am a full time mediator specializing in high-emotion, cross-cultural disputes in which I work closely with parties and their counsel to creatively shape solutions to their disputes. My practice focuses on "dirt, buildings and the people who handle them" and includes real estate, landlord-tenant, partnership, business, probate, trust, partition actions, secured transactions, title, escrow, professional liability of brokers, lawyers, CPAs, construction defect, insurance and consumer rights. I believe that culture, gender and personality impact disputants' perception of rights and obligations and influence negotiation style and conflict resolution, and that disputants who are treated with dignity and respect become empowered to fashion their own "win-win" solutions. I am flexible about process and improvisational in my approach. I am willing to be "evaluative", explore "what-ifs", ask probing questions and offer "reality checks". I am never "directive" because I think that undermines clients' rights to self-determination. In convening a mediation, I discuss efficient, cost-effective suggestions for pre-mediation discovery designed to meet the needs and budgets of parties. As my many testimonials show, I have a reputation of being qualified, competent and well-prepared. I earned my law degree from London University with honors in 1969 and previously practiced law for forty years, representing both plaintiffs and defendants. My mediation training includes the Straus Institute at Pepperdine University, a symposium of the International Academy of Mediators at the Harvard Negotiation Project and Steve Rosenberg's Advanced Mediator Training among others. I have published articles on mediation in the San Francisco and Los Angeles Daily Journals, Mediate.com and am a frequent presenter of topics on mediation for CEB and local bar associations. Straus Institute for Dispute Resolution at Pepperdine University, Malibu, California, "Mediating the Litigated Case"; Steven Rosenberg, "Mediation Training", (2002) and "Advanced Mediation Training", (2003); multiple seminars and workshops given by ADRNC; Hastings Center for Dispute Resolution; American Arbitration Association; International Academy of Mediators Symposium at Harvard University, (April 2006); Contra Costa, Alameda and San Francisco Bar Associations and State Bar of California. Contra Costa, Alameda, San Mateo, San Francisco, Sonoma, Solano and Yolo Counties. State Bar of California Executive Committee on Mandatory Fee Arbitration; Chair, Contra Costa Bar Association MFA Committee and Client Relations Committee. California State Bar, 1976; U.S. District Court, Northern and Central Districts of California, 1976; U.S. District Court, Northern District of Texas, 1990; Solicitor of the Supreme Courts of England and Wales, 1972. "Real Property Remedies Practice" (CEB) annual Supplement 1985-2002; currently Co-author of publication's ADR section. Frequently publish articles in San Francisco and Los Angeles Daily Journals, Mediate.com and local bar association journals. $450 per hour for two parties and $500 per hour for three or more parties, split equally. This includes study time and pre-mediation telephone conferences with counsel. There is a six hour minimum charge for the mediation session itself. I honor the "free time" requirements of court ADR programs. I will negotiate flat fees of $5,000 per eight hour day and $2,500 per four hour half-day in appropriate circumstances. This includes study time. I do not charge administrative fees, believing that parties' financial resources should be spent to facilitate productive negotiations.